The European Union has called on the government of Bangladesh to implement garment factory safety standards at all commercial buildings in the country, following the second building fire in under a month. Last week a fire broke out at the FR Tower multi-storey commercial building on Kamal Ataturk Avenue at Banani in Dhaka – resulting in 26 deaths after people were prevented from leaving the building by locked safety exits. It follows a fire earlier this month in the capital, that according to Clean Clothes Campaign housed garment maker Anzir Apparels Ltd. The firm was removed from the Alliance for Bangladesh Worker Safety's list of approved factories in 2016 for failure to make adequate remediation progress. Following the Banani fire, the European Union said it "attaches high importance to safety at the workplace and has been working since 2013 with the authorities of Bangladesh to improve workplace safety in the ready-made garment sector. The EU also encourages the government of Bangladesh to take similar policy measures in the workplace in other economic sectors in Bangladesh, including in the building sector." The latest fires cast doubts over the Bangladesh government's will, capacity or readiness to enforce safety regulations for housing, commercial and industrial setups. Both of the international brand and retail-backed building and worker safety initiatives – the Alliance for Bangladesh Worker Safety and the Accord on Fire Building and Safety – have come to an end of their five-year terms. The Accord is awaiting a Supreme Court hearing on its continued operation, which is due this week after being pushed back for a sixth time in February. The original pact expired in May 2018 but was extended to complete remaining safety fixes while the Bangladesh government builds up its Remediation Coordination Cell (RCC) to oversee workplace safety and remediation. But international stakeholders fear the RCC is not yet prepared to take on the responsibilities of the Accord's inspection programme, despite the government's claims to the contrary. The Alliance for Bangladesh Worker Safety wound down at the end of 2018. 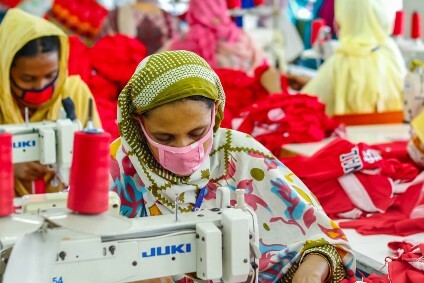 Last week it was announced a group of former members of the scheme has teamed up with several other brands to launch Nirapon, a voluntary programme tasked with overseeing the ongoing safety, training and helpline efforts in Bangladesh ready-made garment factories. Based in Dhaka, it will serve as a single point of contact between its members and the factories, and will also focus on building local capacity to manage fire and building safety to sustain the investments in worker safety that have been made to date.